An essential in all art and craft environments. 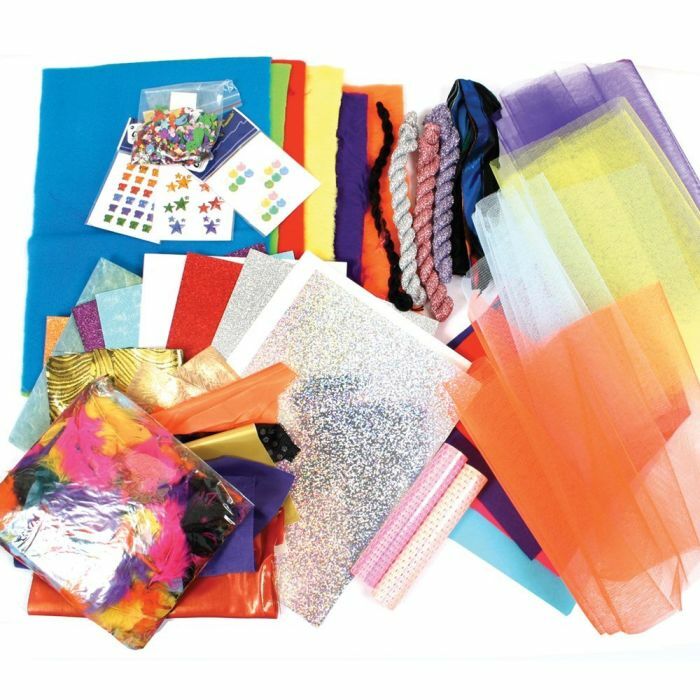 This set contains a variety of paper and craft products which are suitable for all ages and abilities, perfect for classroom use. An easier alternative to buying individually, includes an assortment of paper, card, yarns, fabric pieces, and sequins.